청주 운천동에 있는 통일신라시대의 절터이다. 1985년 발굴조사 때 금당터·서회랑터·강당터·부속건물들이 있던 건물터가 확인되었고 ‘흥덕사’라고 새겨진 쇠북(금구)조각이 나와 절의 이름이 흥덕사였음을 알 수 있었다. ‘대중 3년명(大中 3年銘)’이라 새겨진 기와와 기타 유물들로 보아 늦어도 9세기에 지어져 고려 후기까지 그 명맥을 유지하였던 것으로 보인다. 치미·기와조각·그릇 들과 청동제품이 많이 출토되었고, 현재 남아있는 세계에서 가장 오래된 금속활자본인『직지심체요절』을 찍은 곳이다. 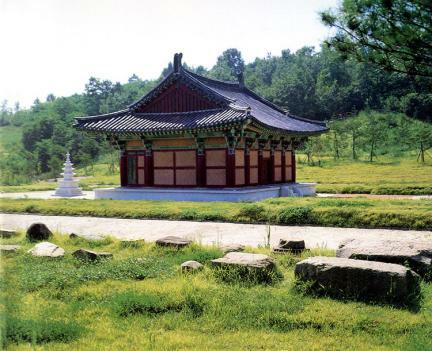 It is a temple site of the United Silla Dynasty located in Uncheon-dong, Cheongju. 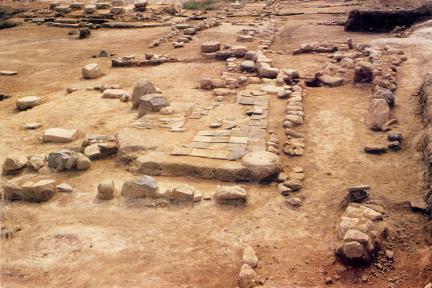 The excavation in 1985 confirmed the building sites including the site of a main hall, Seohoerangji, or site of west-corridor, auditorium, annex, etc. Pieces of gold ornaments with the name Heungdeoksa carved on them were discovered, suggesting that the temple's name was Heungdeoksa. Considering the relics such as tile with “Daejung Year 3” and other items, the temple is estimated to have been built in the 9th century but burnt down at the end of Goryeo. Lots of bronze ware such as chimi or the dragon head-shaped tile put on the angled top of a gable roof for decoration, pieces of tiles, vessels, etc., were excavated and are of great help to the research on art history. The discovered Jikjisimche yojeol (Collected Zen Buddhist Sermons) is a relic of great significance in printing history.